The Ayurveda master’s degree offers a whole-body systems approach to prevention and treatment of disease states, as well as health preservation. Our comprehensive level of scholarship and clinical training is unique to NUNM, the only Ayurveda master’s program offered by a U.S. regionally accredited university. As a student, you will be trained to address health care from an integrative perspective, using a variety of modalities including counseling, mind-body medicine (including yoga and Ayurvedic massage), botanical medicine, nutraceuticals, diet, lifestyle, and detoxification/rejuvenation therapies. Core courses provides our students with a strong foundation in Ayurveda philosophy (including training in classic Sanskrit texts from Ayurvedic gurus), anatomy, physiology, pathophysiology, and techniques for physiologic imbalance classification and assessment. Additional courses in research, business, and health media with written and public speaking skill development will support successful postgraduate careers in integrative medicine. There are both academic and clinical components to this program, including 12 clinical credits, 14 laboratory credits, and 38 lecture credits. Academic instruction will occur on-site, and required fieldwork and clinical internship training will take place locally. Many of the faculty are Indian practitioners and experts. Following completion of your clinical internship training, you will complete a capstone project, which consists of a written thesis and verbal presentation at a local conference. The MScA degree is also available as a dual-track program with our Doctor of Naturopathic Medicine, Doctor of Science in Oriental Medicine, Master of Science in Oriental Medicine, and any other program in our School of Graduate Studies. While the MScA program is offered on-campus, some classes will be offered online or in a hybrid teaching format. The Ayurveda degree program aligns with NUNM’s goal to advance the science and practice of traditional world medicines. The master’s program equips our graduates with the knowledge base and practical skills to effectively work in the diverse and multidisciplinary environments inherent to an Ayurvedic medical practice, a 5,000 year old traditional medicine. Our students are trained to make holistic recommendations that not only encompass disease prevention and treatments, but also enhance and preserve physical, psychological, intellectual and spiritual health. Students will understand their scope of practice and distinct role as a member of an integrated, multidisciplinary team, and all graduates will be prepared to offer the highest quality integrative care. Practical examination in Ayurvedic assessment and counseling. Practical examination in Ayurvedic therapeutics and clinical skills. Written proficiency exam in Ayurvedic theory and application. 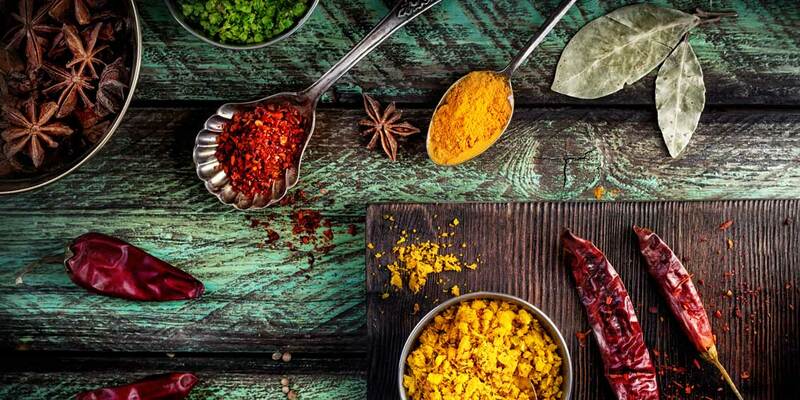 Develop an Ayurvedic nutrition and lifestyle plan, menu, and meal for standardized patients. Develop and present protocol and methodology for systematic and evidence based Ayurvedic research in the context of selected specialization. 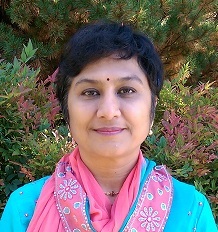 With over 25 years of clinical practice, teaching and mentoring students in Ayurveda, Dr. Savita Rajurkar is a renowned expert in this ancient “science of life.” After earning graduate degrees in Ayurveda, alternative medicine, naturopathy and philosophy, Dr. Rajurkar was appointed to the highly prestigious position of assisting the physician to the prime minister and president of India. As a result of that work, Dr. Rajurkar was involved with successfully opening and running an Ayurveda hospital in New Delhi. The hospital has been extremely successful—more than 70% of India’s rural population seek Ayurvedic doctors for their primary healthcare needs. She also started her own Ayurveda and Panchakarma Center in Pune, India, which attracted a patient network from all over the world. NUNM is proud to have such a world-class Ayurvedic expert on our faculty. Here at NUNM, Dr. Rajurkar has a passion to share this profound medicine and showcase its effectiveness in addressing chronic disease. She specializes in treating neurological disorders, cancer, asthma, allergies, infertility, obesity, diabetes and hypertension. In her practice, she uses a variety of Ayurvedic treatments, including Panchakarma (a detoxing and cleansing treatment), lifestyle advice, yoga and pranyam (or breathing exercises), relaxation methods and meditation. Dr. Rajurkar is highly recognized for her pulse diagnostic skills, known as “Nadi Pariksha;” and as a teacher of Sanskrit scriptures, including the Bhagavad Gita. The Master of Science in Ayurveda program may be taken concurrently with the following programs. ** Click the dollar amount to see an itemized list of fees for the MScA program.